Seth Goodman, our friend with DataLab USA, returns with another guest post. Today he tackles strategies for measuring the effectiveness of direct mail in multi-channel marketing campaigns. Does direct mail have a place in my marketing plans? How do I properly measure the impact of direct mail and its interaction with other channels? Multi-channel marketing increases the stakes for answering this question. How do we really know the impact of direct mail when there are so many other marketing touch points happening, several in very close proximity to each other? Answering this question properly allows marketers to figure out where their “next dollar” would be best spent and contribute in an optimal fashion to the overall marketing mix. We strongly encourage marketers to design multi-channel tests, using direct mail as the anchor. This is a good way to measure the incremental impact of additional marketing touches beyond the initial mailpiece. This could be a follow-up email, display advertising (via cookie synching), addressable TV (targeted TV ads after the mail campaign has gotten in home), or even another mailpiece. The test should be designed so the impact of each channel/touch can be measured on top of the initial mailing. Make sure to have a population that receives only the first mailpiece, and nothing else, so this incremental activity can be deciphered. Once you have a good read on the incremental impact these multi-channel touches add, then you can begin to test not just the channels, but frequency, timing and order as well. That said, there are additional ways to look at marketing activity to try to determine effectiveness of both direct mail and any other channel. For instance: Last, First and Fractional. This very common technique is as simple as the name implies. The last channel/touch that the prospect interacted with before conversion is the one that gets the credit. While this methodology is still popular, it’s probably too simplistic for today’s multi-channel marketing world. Another common technique that, as the name implies, is based on the first touch with the consumer that ultimately triggered a conversion (within some specified window). There may be additional marketing touchpoints in between the initial one and final conversion, but only the first touch gets credit for generating the conversion. One of the keys with First Touch is to make sure you have a clearly defined window within which the conversion must occur after the first touch in order to give credit to that particular marketing piece. Another way to look at attribution across channels is to employ a Fractional approach to deciding what touch point gets credit for the conversion. Fractional attribution attempts to decipher how each of a series of marketing touch points contributed to a customer conversion, rather than assigning the conversion to just one (as in the cases of First and Last Touch). Fractional is obviously a more complex approach, and does require some testing and analysis in order to decide how much credit to assign to certain marketing touches. That said, in today’s multi-channel marketing environment, the Fractional approach most closely resembles the consumer experience in making a purchase decision. The consumer may get a mailpiece, followed up with a series of display ads, yet finally call and purchase after seeing an addressable ad on their TV. In the continually evolving world of multi-channel marketing, it is becoming increasingly difficult to measure the impact of direct mail. 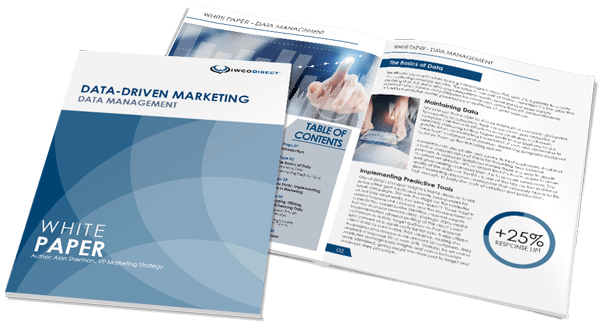 We know at this point it is an extremely valuable part of the overall marketing mix, and via thorough and regimented testing, you can start to understand its full impact on your entire marketing basket. Seth Goodman joined DataLab USA in 2001. As a senior partner, he oversees many of DataLab’s largest clients, coordinating the strategy, execution and product development for their multi-channel marketing efforts. Mr. Goodman has over 10 years of experience in building analytically data driven prospect and customer solutions, focusing on DataLab’s core solutions lifecycle: Acquisition, Cross Sell, Retention and Win Back. He can be reached at sgoodman@datalabusa.com.